The trouble with writing about, or quoting, Liping Ma, is that everyone interprets her words through their own frame, influenced by their own experiences and beliefs. “Well, yes, but isn’t that true for anyone reading anything?” you may ask. True enough. But in Ma’s case, readers often arrive at diametrically opposed readings. Both sides in the US Math Wars quote from her in support of their positions. That happened with the book that brought her to most people’s attention, Knowing and Teaching Elementary Mathematics: Teachers' Understanding of Fundamental Mathematics in China and the United States, first published in 1999. And I fear the same will occur with her recent article "A Critique of the Structure of U.S. Elementary School Mathematics," published in the November issue of the American Mathematical Society Notices. Still, if I stopped and worried about readers completely misreading or misinterpreting things I write, Devlin’s Angle would likely appear maybe once or twice a year at most. So you can be sure I am about to press ahead and refer to her recent article regardless. I am very familiar with the Finnish education system. The Stanford H-STAR institute I co-founded and direct has been collaborating with Finnish education researchers for over a decade, we host education scholars from Finland regularly, I travel to Finland several times a year to work with colleagues there, I am on the Advisory Board of CICERO Learning, one of their leading educational research organizations, I’ve spoken with members of the Finnish government whose focus is education, and I’ve sat in on classes in Finnish schools. So I know from firsthand experience in the western country that has got it right that teachers are everything and curriculum is at most (if you let it be) a distracting side-issue. The only people for whom curriculum really matters are politicians and the politically motivated (who can make political capital out of curriculum) and publishers (who make a lot of financial capital out of it). But I digress: Finland merely serves to provide an existence proof that providing good mathematics education in a free, open, western society is possible and has nothing to do with curriculum. Let’s get back to Liping Ma’s recent Notices article. For she provides a recipe for how to do it right in the curriculum-obsessed, teacher-denigrating US. Behind Ma’s suggestion, as well as behind my MOOC and my video game (both of which I have invested a lot of effort and resources into) is the simple (but so often overlooked) observation that, at its heart, mathematics is not a body of facts or procedures but a way of thinking. Once a person has learned to think that way, it becomes possible to learn and use pretty well any mathematics you need or want to know about, when you need or want it. In principle, many areas of mathematics can be used to master that way of thinking, but some areas are better suited to the task, since their learning curve is much more forgiving to the human brain. For my MOOC, which is aimed at beginning mathematics students at college or university, or high school students about to become such, I take formalizing the use of language and the basic rules of logical reasoning (in everyday life) as the subject matter, but the focus is as described in the last two words of the course’s title: Introduction to Mathematical Thinking. Apart from the final two weeks of the course, where we look at elementary number theory and beginning real analysis, there is really no mathematics in my course in the usual sense of the word. We use everyday reasoning and communication as the vehicle to develop mathematical thinking. As instantiated in the NCTM’s 2001 Standards document, elementary school mathematics should cover ten separate strands: number and operations, problem solving, algebra, reasoning and proof, geometry, communication, measurement, connections, data analysis and probability, and representation. In principle, I find it hard to argue against any of these—provided they are viewed as different facets of a single whole. The trouble is, as soon as you provide a list, it is almost inevitable that the first system administrator whose desk it lands on will turn it into a tick-the-boxes spreadsheet, and in turn the textbook publishers will then produce massive (hence expensive) textbooks with (at least) ten chapters, one for each column of the spreadsheet. The result is the justifiably maligned “Mile wide, inch deep” US elementary school curriculum. It’s not that the idea is wrong in principle. The problem lies in the implementation. It’s a long path from a highly knowledgeable group of educators drawing up a curriculum to what finds its way into the classroom—often to be implemented by teachers woefully unprepared (through no fault of their own) for the task, answerable to administrators who serve political leaders, and forced to use textbooks that reinforce the separation into strands rather than present them as variations on a single whole. 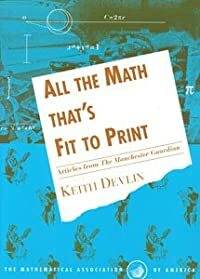 Ma’s suggestion is to go back to using arithmetic as the primary focus, as was the case in Western Europe and the United States in the years of yore and China until the turn of the Millennium, and use that to develop all of the mathematical thinking skills the child will require, both for later study and for life in the twenty-first century. I think she has a point. A good point. She is certainly not talking about drill-based mastery of the classical Hindu-Arabic algorithms for adding, subtracting, multiplying, and dividing, nor is she suggesting that the goal should be for small human beings to spend hours forcing their analogically powerful, pattern-recognizing brains to become poor imitations of a ten-dollar calculator. What was important about arithmetic in past eras is not necessarily relevant today. Arithmetic can be used to trade chickens or build spacecraft. No, if you read what she says, and you absolutely should, she is talking about the rich, powerful structure of the two basic number systems, the whole numbers and the rational numbers. Will that study of elementary arithmetic involve lots of practice for the students? Of course it will. A child’s life is full of practice. We are adaptive creatures, not cognitive sponges. 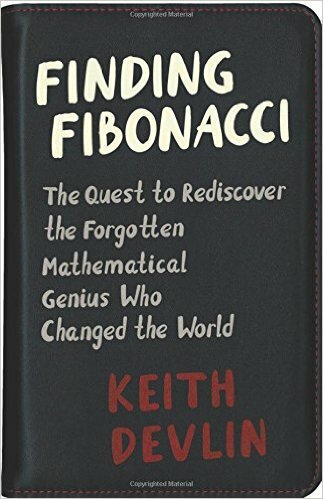 But the goal—the motivation for and purpose of that practice—is developing arithmetic thinking, and moreover doing so in a manner that provides the foundation for, and the beginning of, the more general mathematical thinking so important in today’s world, and hence so empowering for today’s citizens. The whole numbers and the rational numbers are perfectly adequate for achieving that goal. You will find pretty well every core feature of mathematics in those two systems. Moreover, they provide an entry point that everyone is familiar with, teacher, administrator, and beginning elementary school student alike. In particular, a well trained teacher can build the necessary thinking skills and the mathematical sophistication —and cover whatever strands are in current favor—without having to bring in any other mathematical structure. When you adopt the strands approach (pick your favorite flavor), it’s very easy to skip over school arithmetic as a low-level skill set to be “covered” as quickly as possible in order to move on to the “real stuff” of mathematics. But Ma is absolutely right in arguing that this is to overlook the rich potential still offered today by what are arguably (I would so argue) the most important mathematical structures ever developed: the whole and the rational numbers and their associated elementary arithmetics. For what is often not realized is that there is absolutely nothing elementary about elementary arithmetic. I doubt Ma had video game instantiations of her proposal in mind, but when I first read her article, almost exactly when my game was released in the App Store (the Android version came a few weeks later) that’s exactly what I saw. Other games my colleagues and I have designed but not yet built are based on different parts of mathematics. We started with one built around elementary arithmetic because arithmetic provides all the richness you need to develop mathematical thinking, and we wanted our first game to demonstrate the potential of game-based learning in thinking-focused mathematical education (as opposed to the more common basic-skills focus of most mathematics-educational games). In starting with an arithmetic-based game, we were (at the time unknowingly) endorsing the very point Ma was to make in her article. Last week turned out to be far more hectic than most, with the simultaneous launch of two startups I have been involved in for the past few years. When I went into the life of academic mathematics some 42 years ago, I could never have imagined ever writing such a sentence. Nor, for that matter, would I have had the faintest idea what a “startup” was. It’s a measure of how much society has changed since 1971, when I transitioned from being a “graduate student” to a “postdoc,” that today everyone knows what a startup is, and many of my doctorate-bearing academic colleagues have, as a sideline to their academic work, started up labs, centers, or companies. What was once exceptional is now commonplace. Massive changes in technology have made it, while not exactly easy, at least possible for anyone in academia to become an “edupreneur,” to use (just once, I promise) one of the more egregious recent manufactured words. This means that, when our academic work leads to a good idea or a product we think could be useful to many of our fellow humans, we don’t have to sit back and hope that one day someone will come along and turn it into something people can access or use. We can make it available to them ourselves. MOOCs are one of the most recent examples. If any of us in the teaching business finds we have developed a course that students seemed to have benefited from and we are proud of, we can (at least to some extent) bottle it and make it available to a much wider audience. Of course, we have had versions of that ability since the invention of the printing press. Today, millions of people, academics and non-academics alike, use those printing press descendants, websites and blogs, to achieve a much wider audience for their written word. A somewhat smaller (but growing) number have used platforms such as YouTube and Vimeo to make video-recordings of their lectures widely available. To some extent, MOOCs can be viewed as an extension of both of those Internet media developments. A MOOC sets out to achieve the very ambitious goal of bottling an entire college course and making it available to the entire world—or at least, that part of the world with broadband access. The launch this past weekend of the third iteration of my constantly-evolving MOOC on Mathematical Thinking was one of the two startups that gobbled up massive amounts of my time over the past few weeks. Even though, having given essentially the same course twice before, the bulk of the preparatory work was done, implementing the changes I wanted to make and re-setting all the item release dates/times and the various student submission deadlines was still a huge undertaking. For with a MOOC, pretty well everything for the entire course needs to be safely deposited on (in my case, with my MOOC on Coursera) Amazon’s servers before the first of my 41,000 registered students logged on over the weekend. When you think about it, the very fact that a single academic can do something like this, is pretty remarkable. What makes it possible is that all the components are readily available. To go into the MOOC business, all you need is a laptop, a word processor (and LaTeX, if you are giving a math course), possibly a slide package such as PowerPoint, some kind of video recording device (I use a standard, $900 consumer camcorder, others use a digital writing tablet), a small microphone (possibly the one already built in to your laptop), and a cheap consumer video editing package (I use Premiere Elements, which comes in at around $90). Assuming you already have the laptop and a standard office software package, you can set up in the MOOC business for about $1500. Sure, it helps if your college or university gives you access to the open source MOOC platform edX, or is willing to enter an agreement with, say, the MOOC platform provider Coursera. But if not, there are options such as YouTube, websites, Wikis, and blogs, all freely available. My second startup was supposed to launch at least a month before my MOOC, but a major hacking event at Apple’s Developer Site delayed their release of the first (free) mathematical thinking mobile game designed by my small educational software company, InnerTube Games. Both launches falling in the same week is not something I’d want to do again! Why form a company to create and distribute mathematics education video games that incorporate some of the findings and insights I’d developed over several years of research? The brutal answer is, I had no other viable option. Though several years of research had convinced me that it was possible to design and build “instruments” on which you can “play” parts of mathematics, in the same way a musical instrument such as a piano can be used to play music (in both cases by passing the need for static symbolic representations on a page, which are known to be a huge barrier to learning for many people), I simply was not successful in convincing funders it was a viable approach. Clearly then, I had to build at least one such instrument. More precisely, I had to team up with a small number of friends who brought the necessary expertise I did not have. Again, a few years ago, it would have been impossible for an academic to found and build a small company and create and launch a product in my spare time. But today, anyone can. Sure, even more so than with MOOCs, to form and operate an educational software company, you need to work with other people—three in my case. (That, at least, has been my experience.) But the key point is, the technology and the resources infrastructure make it possible. You don’t have to give up your day job as an academic to do it! And just as a MOOC provider (or a YouTube, website, blogging platform combo) takes care of the distribution of your course, so too the Web (in my case, in the form of Apple’s App Store) can make your creation available to the world. At no cost. We are not talking about enterprises designed with the purpose of making money here—I am essentially in the same game as the writing of academic works or textbooks, and in my case less so, since my books cost money but my MOOC and my game are free. Rather we are making use of a global infrastructure to make our work widely accessible. If that infrastructure involves for-profit MOOC platforms or software companies, so be it. The fact is, it has never been as easy as it is today for each one of us to take an idea or something we have created and make it available to a wide audience. Sure, for both my examples, I have left a lot unsaid, focusing on one particular aspect. (Take a glance at my video game website to see who else was involved in that particular enterprise and the experience they brought to the project. That was a team effort if ever there was!) But the key fact is, it is now possible! For more about my MOOC, and MOOCs in general, see my blog MOOCtalk.org. 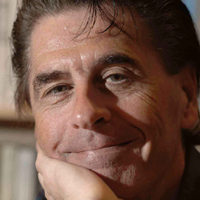 For my findings and thoughts on mathematics education, see many of the posts on my other blog profkeithdevlin.org together with some of the articles and videos linked to on the InnerTube Games website. And for another (dramatic) example of how one person with a good idea can quickly reach a global audience, see Derek Muller’s superb STEM education resource Veritasium. Will Cantor’s Paradise Ever Be of Practical Use? We really have no way of knowing what early humans thought when they gazed up at the sky. Since everyday practical experience is, by definition, limited to a very small region of space and time, it requires considerable cognitive sophistication to conceive of something – say the night sky – “going on for ever,” let alone to ponder whether that means it is “infinite,” or indeed what “infinite” actually means. What we do know is that the ancient Greeks made what may have been the first substantial attempt to analyze the notion of infinity, with Zeno of Elea (ca 490-430 BCE) of particular note for his discussion of a number of (seeming) paradoxes that arise from the assumption that space and time are (or are not) infinitely divisible. Archimedes’ (ca 287-112 BCE) calculations of areas and volumes made implicit use of infinity, and from today’s perspective can be recognized as the forerunner of integral calculus. Skillful formal – though by modern standards not rigorous – use of the infinitely large and the infinitely small was made by Isaac Newton and Gottfried Leibniz in their development of modern infinitesimal calculus in the seventeenth century, though it was not until the nineteenth century when Bernard Bolzano, Augustin-Louis Cauchy, and Karl Weierstrass finessed the lurking problems of infinity by means of the famous (and for many a first-year mathematics major, infamous) epsilon-delta definitions of limits and continuity. But none of these developments was about infinity as an entity; the focus rather was on the unending nature of certain processes, starting with counting. It was Georg Cantor (1845 – 1918) who really tackled infinity head on. His proof that the set of real numbers cannot be put into one-one correspondence with the natural numbers, and hence is of a larger order of infinitude, led to a series of papers, published in a remarkable ten-year period between 1874 and 1884, that formed the basis for modern abstract set theory, including the development of a fully formed arithmetical theory of infinite numbers (or “cardinals”). Having devoted the early part of my professional career to work in (infinitary) set theory, starting with my Ph.D. in “large cardinal theory,” completed in 1971, and moving on to work on alternative universes of sets (a particularly hot topic after Paul Cohen’s introduction of the method of forcing in 1963), in the early 1980s my interests started to shift elsewhere, to questions about information, communication, and human reasoning. I found myself temporarily back in the world of set theory and the arithmetic of infinite numbers recently, when I was approached by the organizers of the World Science Festival to moderate a panel discussion on the topic of infinity and a more in-depth follow-up the following day. Both discussions raised the question as to whether study of infinity – in particular the hierarchy of larger infinities that Cantor bequeathed to us – would ever have any practical applications. As panelist Hugh Woodin remarked at one point in the discussion, it is a foolish mathematician who declares that a particular piece of mathematics will not find applications. For instance, G. H. Hardy’s famous statement (in his book A Mathematician’s Apology) that his work in number theory would never find practical application, proved to be spectacularly wrong less than a century later, when number theory became the foundation for internet security. Hardy’s observation was based on his familiarity of the world he lived in, a world in which the World Wide Web was not even a dream. Today, we cannot know what the world of tomorrow will look like. On the other hand, whatever our children and grandchildren will take for granted, their world will surely be finite, which makes it unlikely that Cantor’s theory – and the almost a century of development in set theory since then – will have practical use. Or does it? What about calculus? Infinitesimal (!) calculus not only has applications in the modern world, but much of the science, technology, medicine, and even financial structure the underpins our world depends on calculus for its very existence. Applications don’t get more real than that. True, but the dependence on infinities you find in calculus is essentially asymptotic. What really drives calculus is the unending nature of certain processes on the natural numbers. Talk of “infinitely large” or “infinitely small” is little more than a manner of speaking. Indeed, the epsilon-delta definitions (which do not involve infinities or infinitesimals) are a way to formalize that manner of speaking, effectively eliminating any actual infinite or infinitesimal quantities. In contrast, much of the work on infinity (more precisely, infinities) carried out in the second half of the twentieth century (when I was working in that area) focused on properties of sets that made their cardinalities super-infinities of different orders: inaccessible cardinals, Ramsey cardinals, measurable cardinals, compact cardinals, supercompact cardinals, Woodin cardinals, and so on. Infinities which dwarfed into invisibility the puny cardinality of the set of natural numbers. Indeed, each one in that sequence dwarfed all its predecessors into invisibility. How could that work find an application? I’ll lay my cards on the table. I think the chances are that it won’t. But I don’t think it is impossible. Indeed, I began to suspect a possible application in the very domain I worked in after I left set theory. The post 9/11 world saw me involved in a series of Defense Department projects the first being improving intelligence analysis (and the others essentially variants of that). In today’s information rich world, the major nations can be assumed to have access to all the information they need to predict (and hopefully thence prevent) the majority of terrorist attacks. The trouble is, the few data points which must be identified and connected together to determine the likelihood of a future attack are just a tiny few in an overwhelming ocean of data. Even in the era of cloud computing, identifying the key information is analogous to using the naked eye to find a handful of proverbial needles in a non-proverbial field of haystacks. The discussion about large cardinals you will find in those panel discussions at the World Science Festival might seem impossibly abstract and far removed from the everyday world. Indeed, it is. But the questions being discussed all resulted from a process of rigorous, logical investigation that arose directly from late nineteenth century attempts to understand heat flow. History tells us that what begins in the real world, very often ends up being used in the real world. Prediction is hard, particularly about the future. Incidentally, how did I end up working on a project for the DoD? They asked me. I might not be the only person to speculate about a possible use of Cantor’s paradise. This is your taxpayer dollars at work. This month’s column is short, but I am asking you to set aside 51 minutes and 36 seconds to watch the embedded video. It is a recording of the Iris M. Carl Equity Address given on Friday April 19 at this year’s NCTM Annual Conference in Denver, Colorado. The title of the talk is “Keeping Our Eyes on the Prize” and the speaker is Uri Treisman, professor of mathematics and of public affairs, and director of the Charles A. Dana Center, at the University of Texas at Austin. I was not able to be at NCTM, but on the recommendation of several colleagues, I watched the YouTube video. I simply cannot write a column on mathematics or mathematics education in the same month as Treisman’s immensely more important, profound—and powerfully articulated—words became part of mathematics education history. As a community, we now have our own “I have a dream” speech. Thank you, Uri. PDFs of Treisman's presentation slides are available here. A good metaphor for the current state of MOOC education is provided by this historical video. But when you look at those images, please remember what those events led to. Unless you are able to keep that history in mind, you should not at this stage get into the MOOC business. For there be only dragons. For MAA readers, I don’t think I need to explain my dislike for either of these über-simplistic devices, which can surely be justified in a regular classroom only in terms of making life easier for the instructor. Simply putting a class online does not require the use of either device, of course. Technologies such as video conferencing and screen sharing can make learning at a distance almost as good as traditional classroom learning, and in some circumstances can make it better in some respects. But making a class available to tens of thousands of students online changes everything. With such large numbers, the “class” dynamics change dramatically. But it’s not all for the worse. The first thing to realize is that a MOOC is in many ways like radio or TV. Though both of those familiar features of modern life are referred to as “mass media,” they are in fact highly individual. The newsreader on radio or TV is not addressing a large audience; she or he is talking to millions of single individuals. The secret to being good on the radio or TV is to forget the millions and think of just one (generic) person. After all, the listener or viewer is not in a room with millions of other people; in fact, if the broadcast is successful, that listener or viewer is cognitively in a room with just the presenter. The really successful radio and TV newsreaders and presenters are the ones who can do that really well. They create that sense that they are talking just to You. In my own case, I already knew that from many years of occasional media work, but I think all MOOC instructors come to that realization very quickly. When your voice, with or without your face, is in someone’s living room, there is a direct human connection that in important ways is far more intimate than is possible in a lecture hall filled with anything more than a handful of students. Once you realize this feature of the MOOC medium, the underlying pedagogic model is obvious. It’s one-on-one teaching/learning—something that in the traditional academy is (of necessity) reserved only for doctoral students. Because of my caution, I think I avoided a fate reminiscent of NASA’s first attempts to launch a rocket into space. But that was a first, exploratory experience, and I wanted to live to try again. This time around, based on what I learned, I am going to use all four much more aggressively, but in ways I think might work. I’ll be describing how I’ll be using them in a series of posts to my blog MOOCtalk.org. For a brief—and decidedly limited—foretaste, check out this video excerpt of a conversation my MOOC TA Paul Franz and I had recently with radio and TV personality Angie Coiro, host of the syndicated radio and television interview show In Deep. The goal of Version 2 of the course is not to reach the Moon. Chances are high that we’ll crash and burn. The goal is to at least get off the ground before we do, and, if we are lucky, maybe even reach the upper atmosphere. For sure, there will still be a long way to go. If you want to live dangerously and be part of this huge experiment, and if you have a Ph.D. (or pending Ph.D.) in mathematics and several years of college teaching behind you, I am still looking for well qualified volunteers to act as “Community TAs” for the course, to answer students' questions on the course discussion forums. So far I have 14 volunteers, comprising 5 college professors, 3 Ph.D. students, 3 individuals currently working in the software industry, a K-12 education consultant, a research laboratory scientist, and a stock analyst. If you want to volunteer, and have the requisite experience, please drop me an email at devlin@stanford.edu. (There is no payment for doing this—that includes me!) But being part of a large and truly global community, who come together for several weeks for the sole purpose of learning how to think mathematically (the course carries no college credit), is truly a wonderful experience.